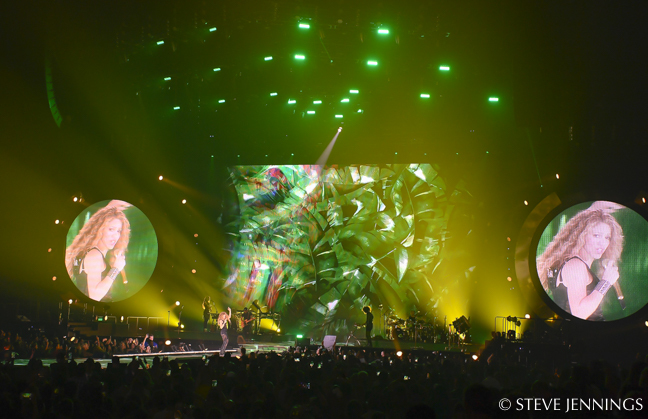 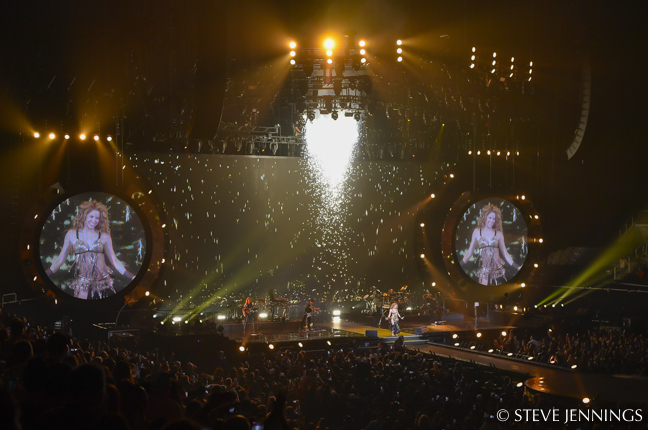 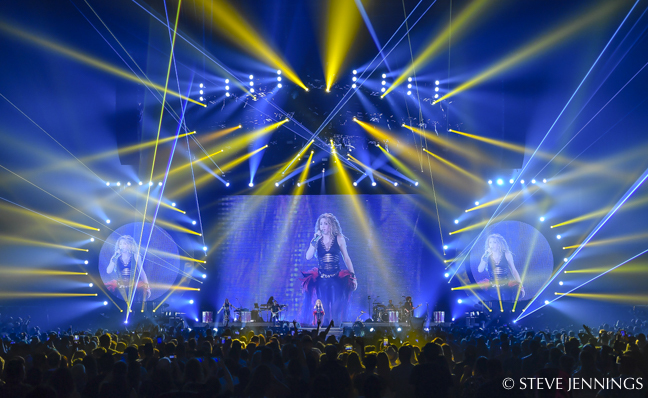 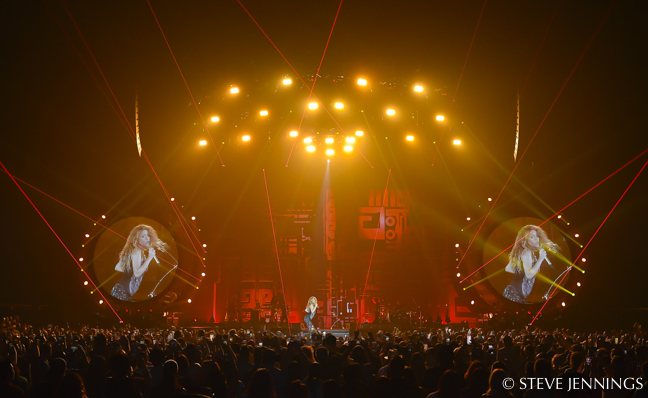 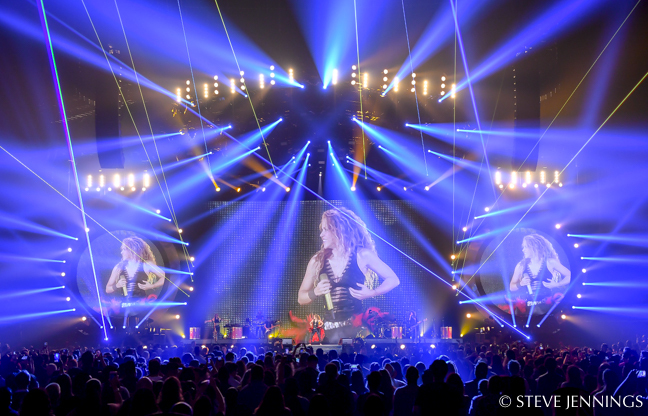 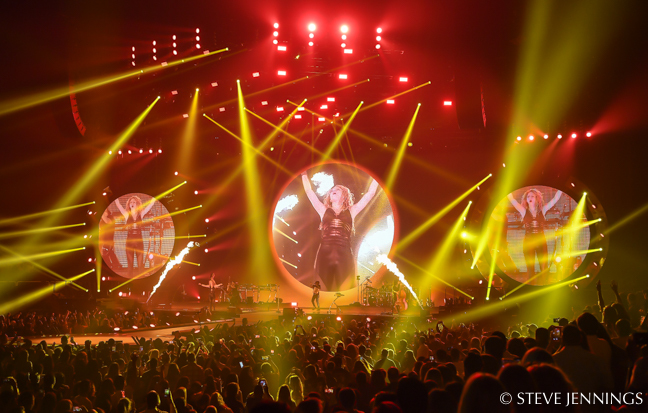 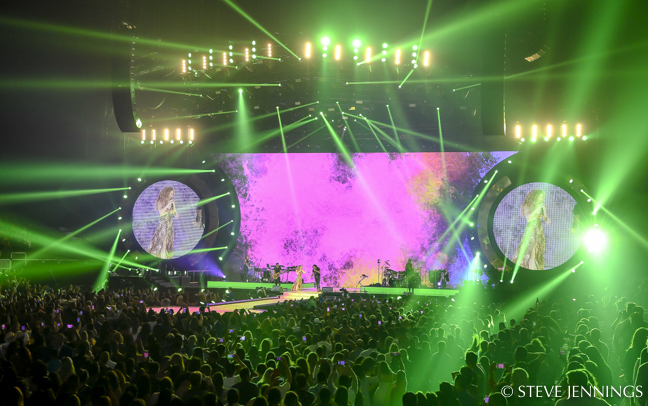 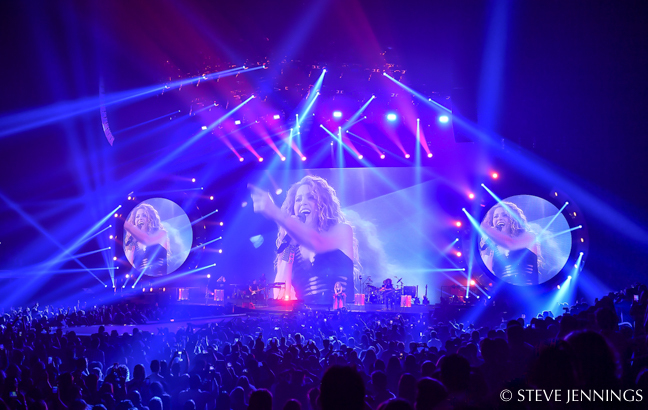 We caught the final show of Shakira’s El Dorado world tour where the tour ended in September in San Jose, CA. 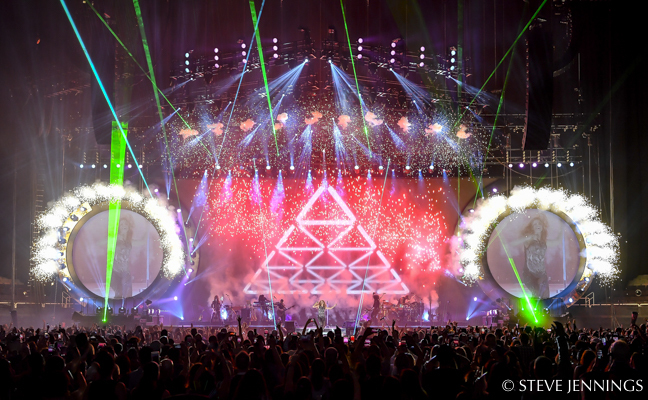 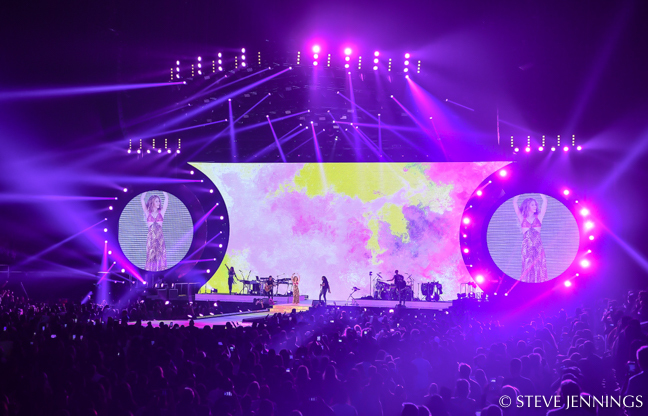 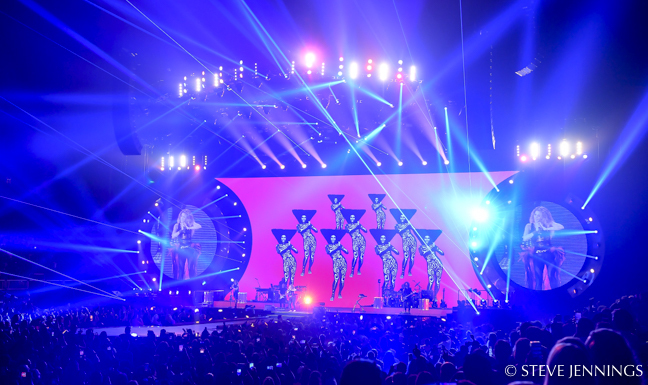 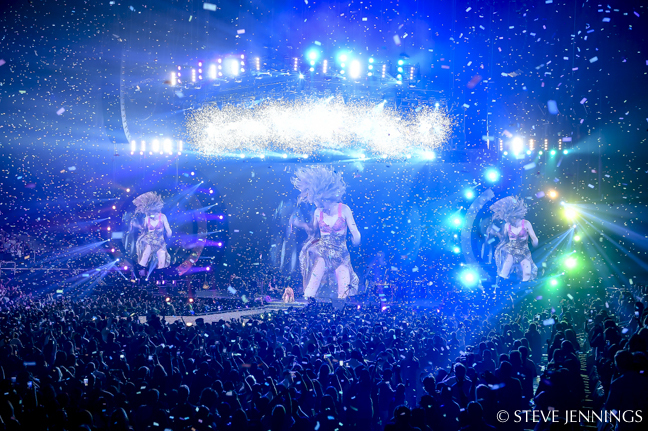 The tour lighting design was done by Paul Normandale (Lite Alternative Design). 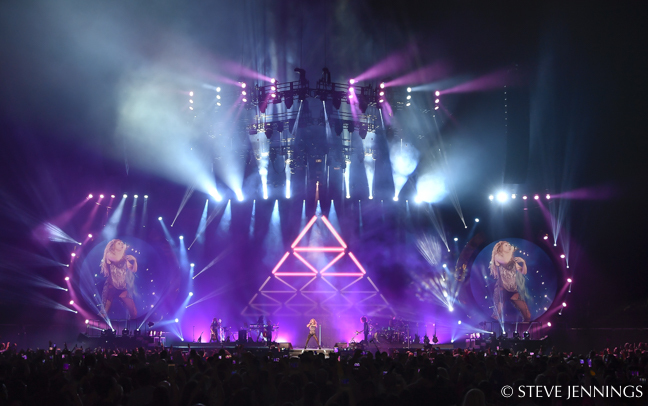 Just some of Normandale’s credits include Coldplay, Bjork, One Direction, Depeche Mode, Kings of Leon and Massive Attack, among so many others. 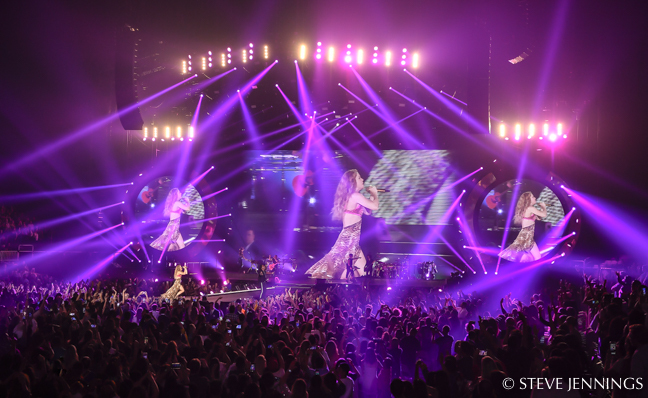 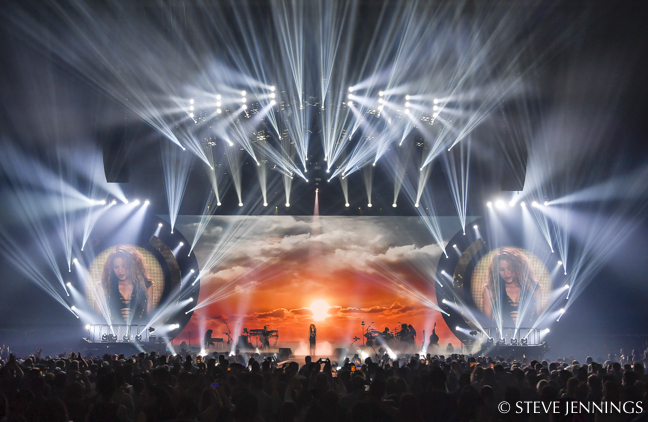 Normandale has designed past Shakira tours, and also back for this tour was lighting programmer and director Fraser Elisha, who also has a long history with Normandale. 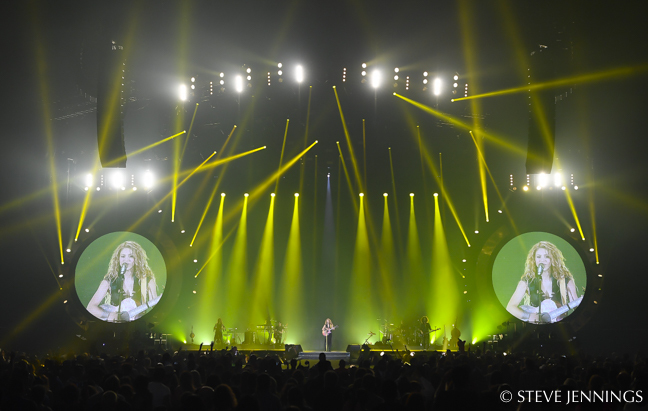 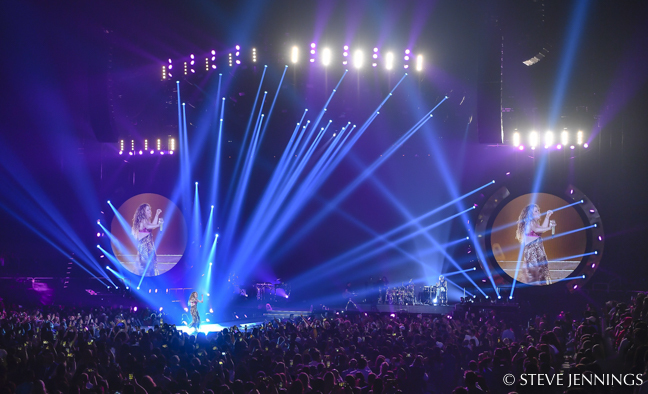 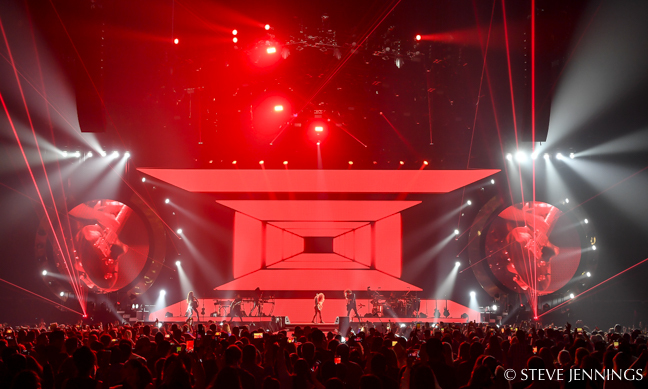 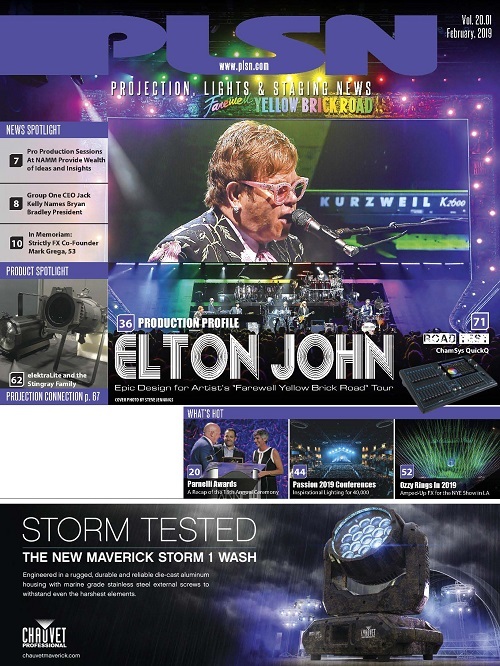 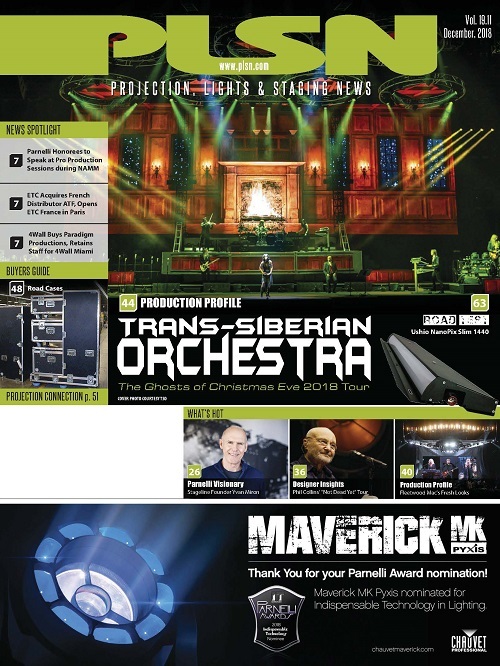 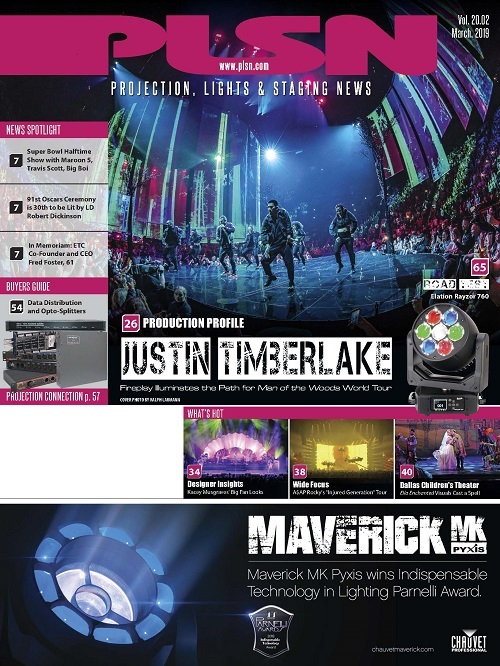 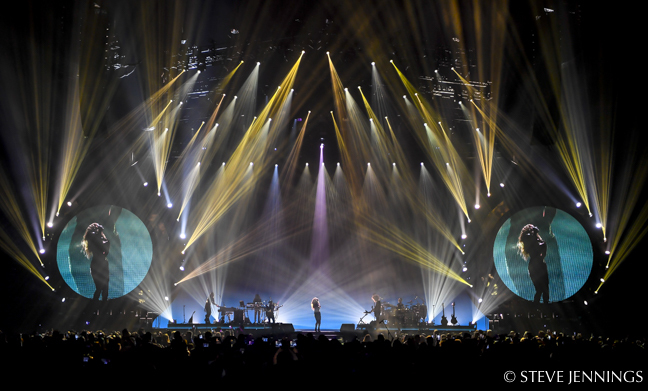 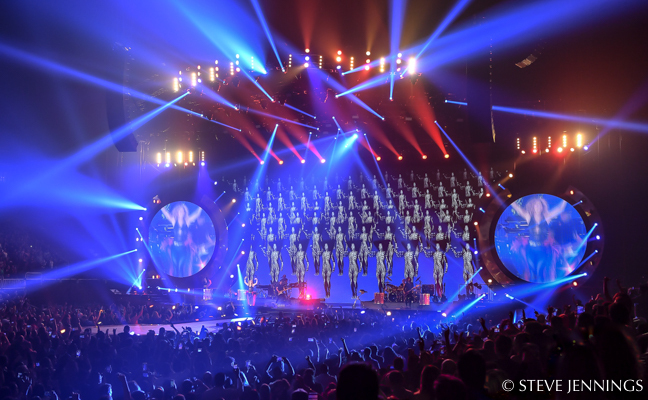 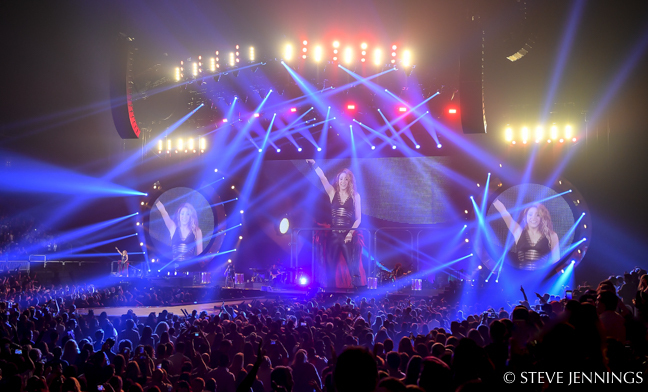 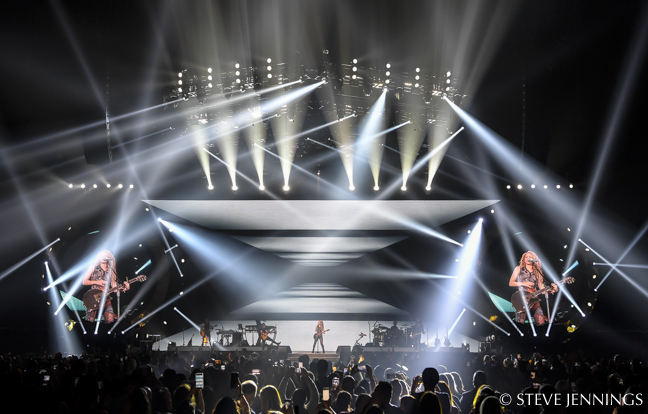 The tour lighting included numerous Martin MAC fixtures including Viper Profiles, Aura XBs and Viper AirFX, along with Claypaky Sharpys, Vari-Lite VL3500 Wash FX and Solaris Flares. 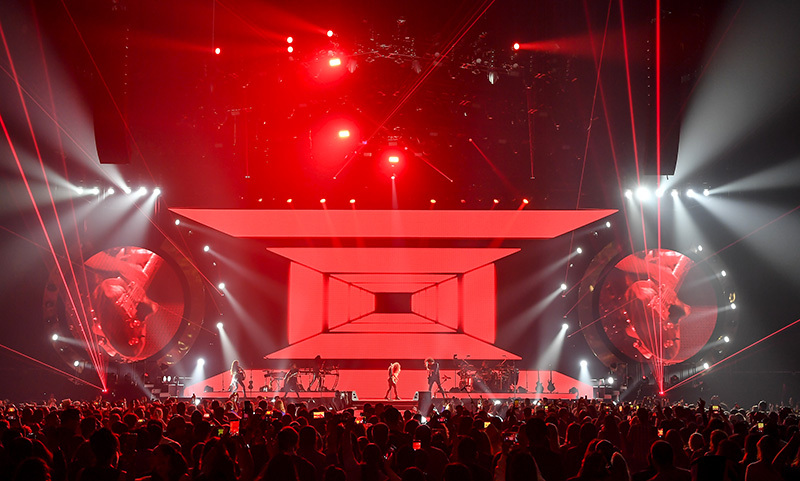 The fixtures were chosen with worldwide availability in mind, particularly for the many shows in South America, to maintain the integrity of the show. 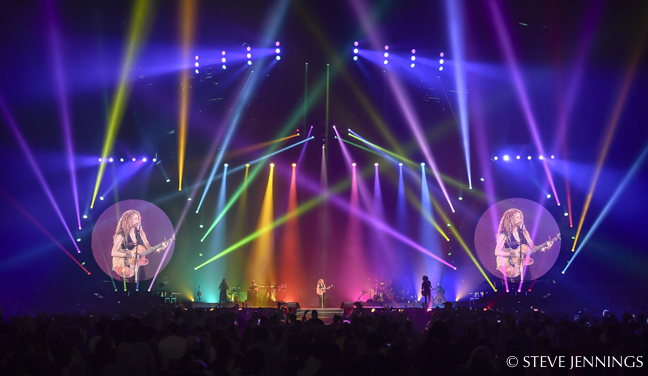 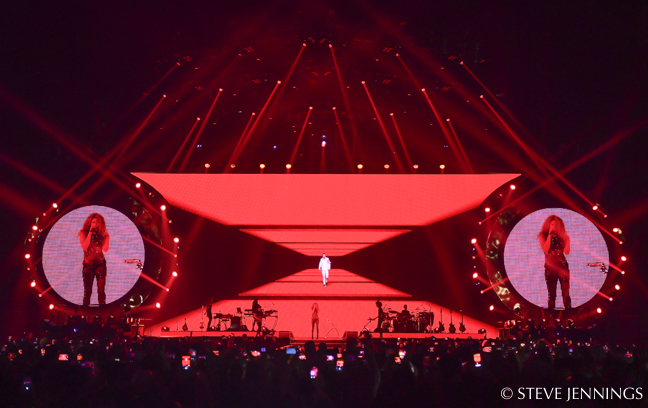 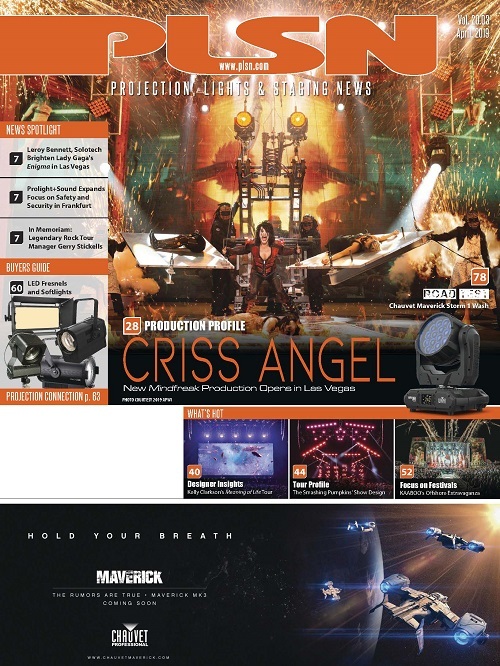 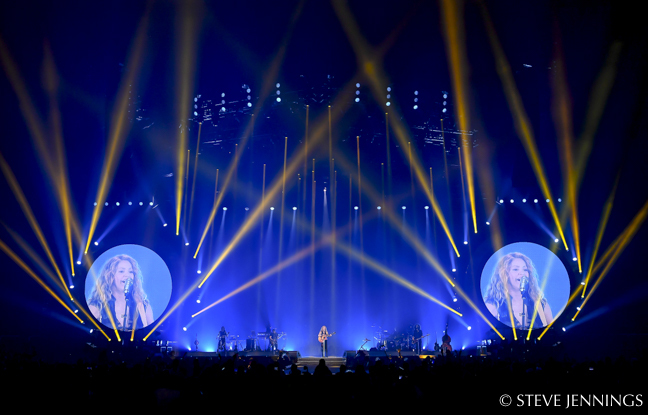 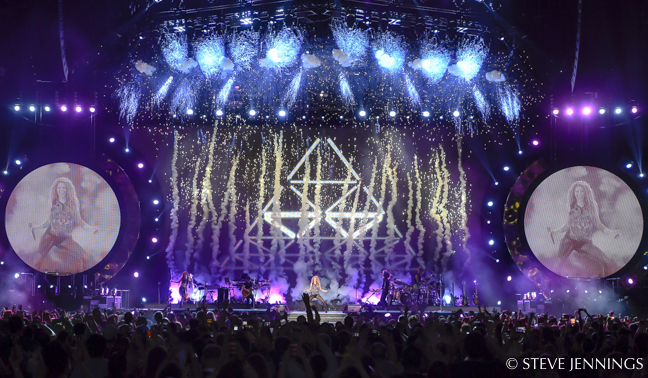 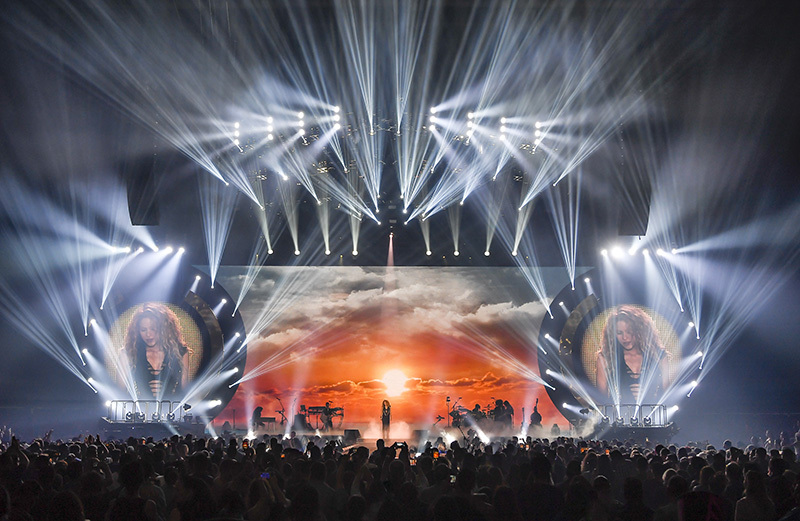 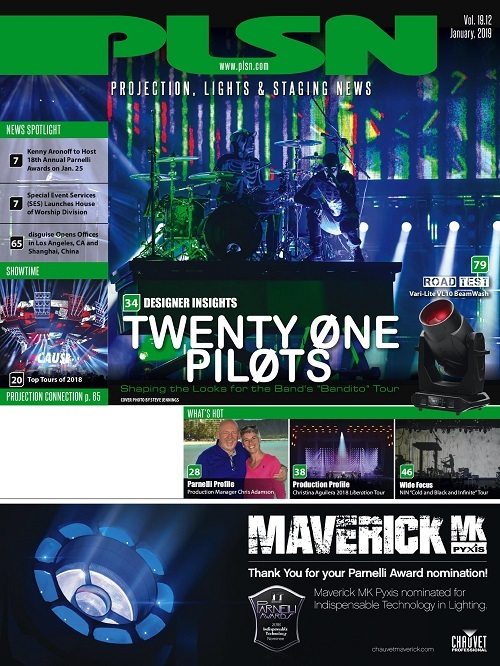 The tour lighting vendors included Upstaging, which is always Normandale’s choice in the U.S., as well as Lite Alternative where, as lighting programmer Fraser Elisha notes, they had two weeks at the WYSIWYG studio. 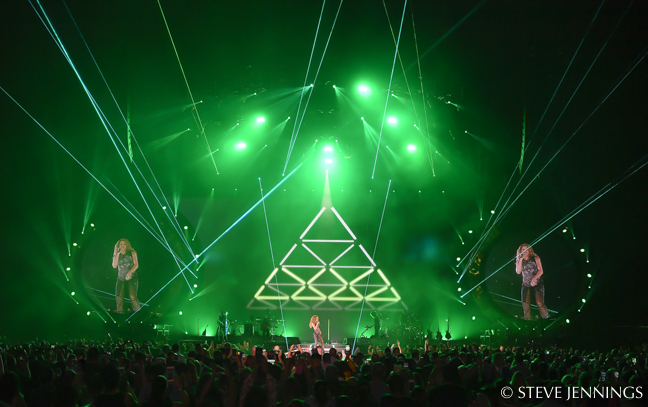 Elisha directed the tour all free form, the only timecode was for video and lasers. 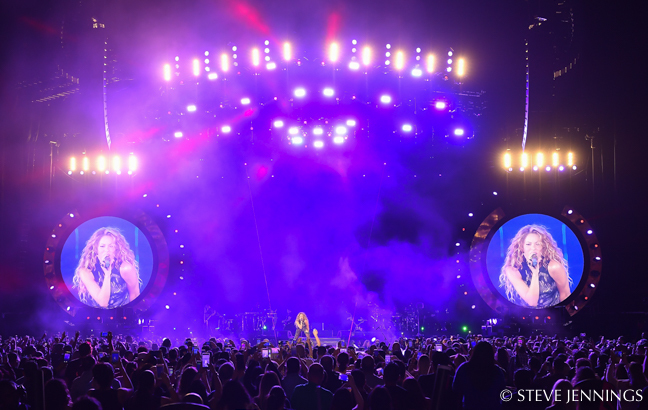 He notes that the set list stayed the same except for a couple of extra songs in the list for Spain, but depending on the territory she performed in, Shakira will sing some songs in either Spanish or English. 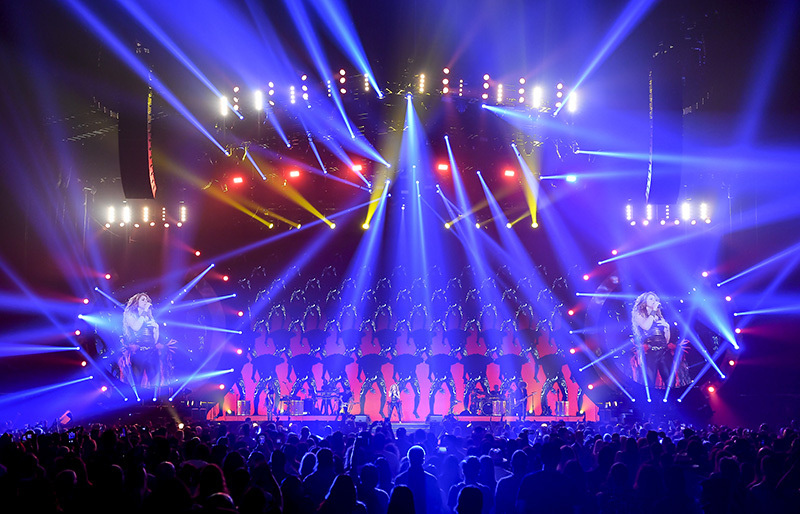 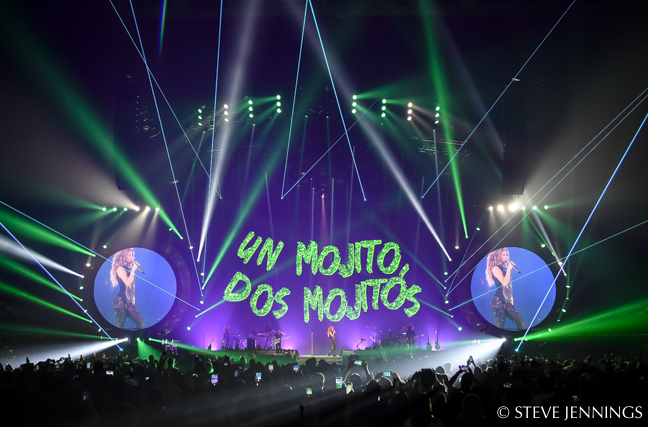 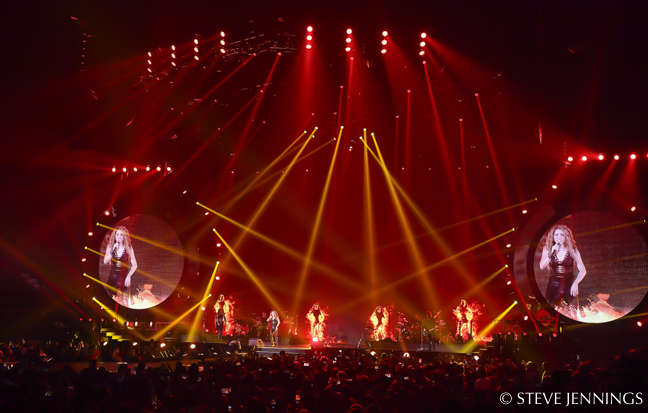 Normandale decided to add lasers and pyro into the show after Shakira viewed other tours he had done that included special effects. 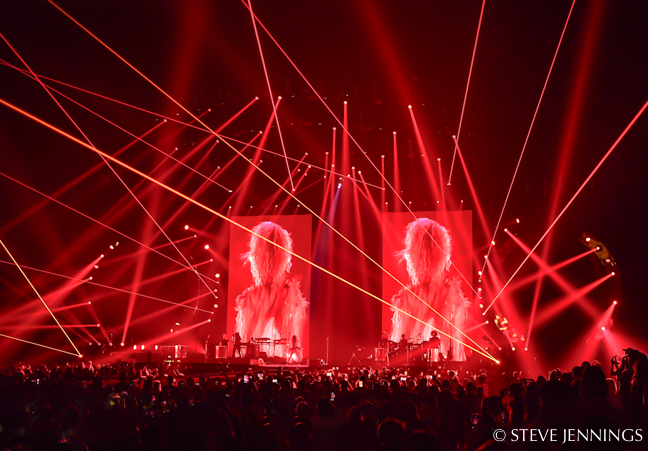 As he usually does, Paul turned to Strictly FX for all his needs in that department. 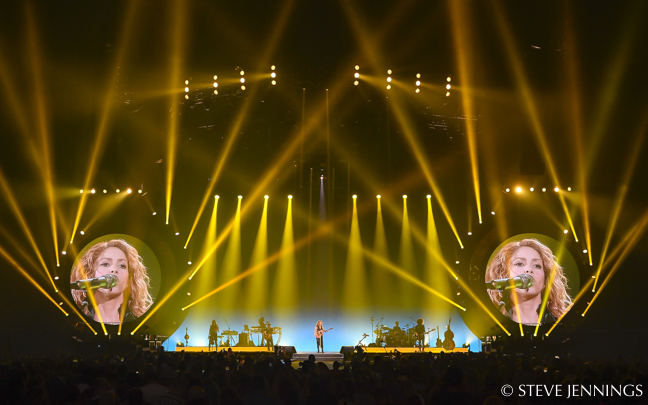 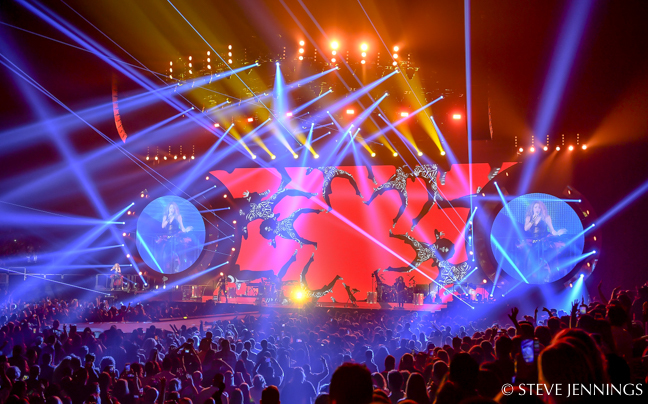 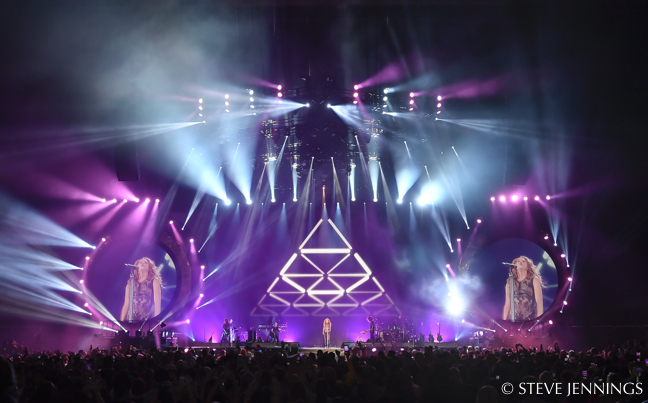 Shakira also like having the addition of two ramps that led to platforms beneath the circular truss and video/LED screens on both sides of the stage, which was a nice way to get the artist closer to her fans.